Sophos has appointed Gavin Struthers as regional vice president of Asia Pacific and Japan, with the remit of driving market growth through the channel. Channel Asia can reveal that the security veteran commenced his new role at the vendor in early January, replacing the already departed Joergen Jakobsen, and is tasked with overseeing strategy, go-to-market planning and operations regionally. “Gavin’s industry knowledge and depth of channel understanding will be critical to our growth and expansion across the APJ region as we continue to deliver our channel first, channel best strategy,” said Michael Valentine, senior vice president of worldwide sales at Sophos. Prior to Sophos, Struthers headed up the Asia Pacific business at McAfee for almost four years, during a career spanning 16 years with the vendor. During this time, Struthers held five senior sales management positions, including senior vice president of worldwide channel operations based out of San Francisco, in addition to a regional director role across Australia and New Zealand (A/NZ). From a channel standpoint, Struthers collaborated with partners, distributors and managed service providers to deliver sales strategies and growth across the region. “The key to growing a successful business in the Asia Pacific region is to nurture and support the right channel partners,” said Struthers, when speaking to Channel Asia. “Sophos has a global reputation for focusing 100 per cent on its channel and for providing the programs that partners need and the products that customers demand. According to Struthers, a key focus will centre around “continuing momentum” in the wider region, backed up aggressive growth plans through the vendor's channel business. “This role is about continuing the success of Sophos in the region,” added Struthers. “It’s been a great growth story over the last few years. Following a six-month sabbatical, Struthers said the decision to join Sophos was driven by a desire to stay within an expanding security space, aligning to a market-leading vendor in the process. “I wanted to stay within security,” Struthers added. “For customers, this is still a mystical area of the market because it changes constantly. They struggle to get the balance right in an industry that is so noisy with new players and emerging technologies. For Struthers, the vendor’s channel strategy will consist of a “depth and breadth” play regionally, designed to up-skill partners while also expanding market coverage. “Most vendors will try and play in the high-end in terms of taking their technology to market,” Struthers explained. “But if you think of key market segments, you have a value play in which you drive quality and work with partners that are experts and offer managed services. In “moving down the stack” to the small and medium business sector, Struthers said coverage is of equal importance, especially outside of key cities and regions. 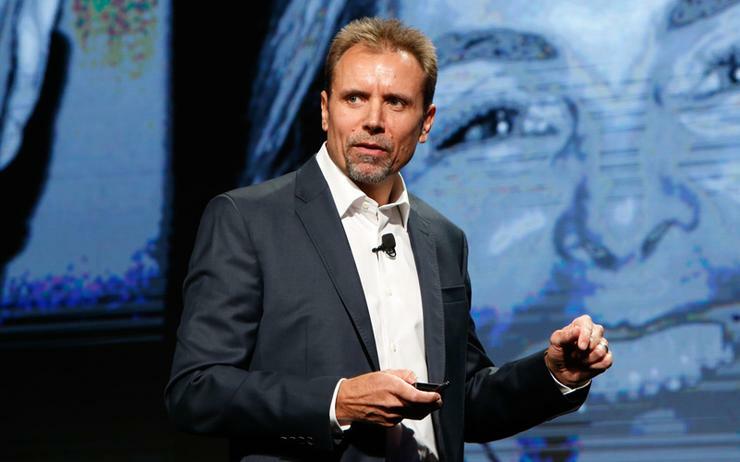 The appointment of Struthers comes days after Ashley Wearne vacated his position as general manager of Sophos across A/NZ, exiting the business after almost seven years. As revealed by ARN, the leader has transitioned out of the role effective immediately, informing internal staff and channel partners in the process. “I would like to thank Ashley for the six years he has been with us managing our A/NZ business,” added Kendra Krause, vice president of Global Channels at Sophos. “Under Ashley’s leadership, our A/NZ business has delivered record quarterly sales and more than doubled in size. Going forward, Struthers said a search for a replacement is underway, with the newly appointed leader taking a more hands-on role until a replacement is found. “We don’t put a timeline on these things but ideally we would like the new leader to start by our new financial year, starting in April,” he added. “We’re deep into planning for FY20 so I’m in a period of emersion at this stage.